P.D. Newman is a Scottish Rite Freemason and a Rosicrucian. He has had papers published by the MS Lodge of Research, Guthrie Scottish Rite Journal, Knight Templar Magazine, Ad Lucem Journal, The Invisible College, Dragibus, Disinformation, Reality Sandwich, Living Stones Magazine, The Working Tools Magazine, etc. The focus of his research is on the presence of entheogenic symbolism within Masonic ritual. His book, _From Darkness to Light: Entheogenic Symbolism Concealed in Masonic Ritual_, is planned for release in 2017. The First Detroit Entheogenic Conference Site. This Fall 2014 we will offer a unique experience from some of the best around the world on the subjuct of psychedelics. National and international speakers will share their expertise on psilocybin or magic mushrooms, the South American brew Ayahuasca, the African mystical herb Ibogaine and the world’s most powerful entheogen, DMT. The reemergence of this cutting-edge psychedelic research after a 40 year hiatus makes it a ripe climate for talks on this seemingly tabu subject. Conferences abound in UK, Europe, and Austrailia but never before has it been available in the Midwest. Browse around this site for more info on the speakers, a tentative itenerary and local accomodations for your stay. Buy your ticket and book your reservations early, this is one conference you don’t want to miss! The original Notes to what I experienced below…. a bit more detailed I think. InFocus247- Journey Mental trip saw one of the most beautiful train stations in the middle of the jungle the train tracks were gold or the reflection of the tracks looked gold from the sun reflecting off of them, After going through a combination of lights and shapes it seemed to be a transitional stage kaleidoscope like effect going from place to place soon after i was climbing up what seemed to be a tree but it was very tall it lead into the sky it was so tall. Once i climbed high enough i saw i was able to see a very beautiful river/ocean the feeling gave me a rushing sense of happiness and I felt my heart expanding it made me take a deep breath it felt as if I were there. The next sensation or urge I felt was to jump, so i jumped off of the tree into what seemed like a sky dive i remember two entities flying after me I felt a brief thought of fear as if I weren’t supposed to jump but water was below so I reassured my self I was ok but not only that… I can fly so I began flying I flew under two bridges and then remember soon after standing by some steps and something or someone told me to go up the stairs and I didn’t want to but it insisted I do so I went up. I remember three sets of doors I was allowed in the first two, it felt as if I was following two people. I tried to go in the third door but it was blocked by a a dark dense energy. I remember trying to penetrate the door twice but it pushed me out. The feeling was almost like I was a magnet and there was a second magnet in the door so when I pushed to go in mentally I was pushed back out. I was fascinated with being limited yet confused why i could not enter this door. I noticed that the door formed into a scorpion like purple being and I remember telling it I’m not afraid of you but also getting the feeling that it is not about fear but about respecting the boundaries of sacred places I may not be ready to experience yet. It stung me on my right leg and I felt in the physical part of my body after the initial sting it sent three to four jolts in my legs. I turned around and began moving away from the door/scorpion entity then the same entity(I think) that insisted I go up to the doors helped me go back down the stairs and told me I don’t belong here you do not know what you are doing open your eyes and return. I opened my eyes and I was back. Only observe don’t be so quick to in force your will on the astral plane until you fully understand the effects of doing so. The first sound I remember hearing was a gong it struck me as weird being I was in Brooklyn and no gongs were near by to my knowledge but I felt as if I was in two places at once and now feeling the sound/vibration of the second place I’ve seemed to meditate into. Subscribe to the new Youtube Channel for interviews, short stories, lessons , yoga and more! 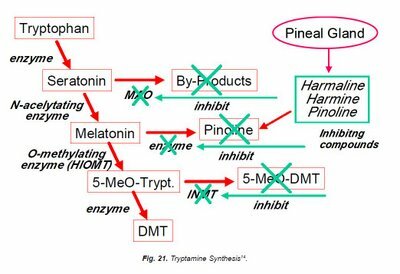 Dimethyltryptamine, better known as DMT, is an illegal psychedelic drug you’ve probably never heard of that is produced by your own body. 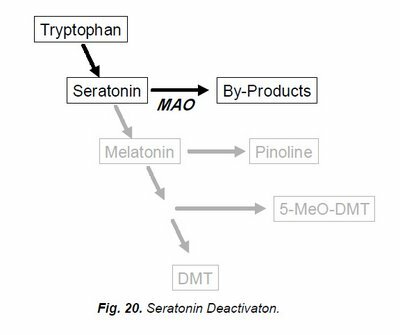 DMT is created by mixing an enzyme with an amino acid, the latter of which is found in many forms of organic life. It can be smoked, drunk or even injected and produces a powerful hallucinatory experience. Users say you lose all sense of time, place and reality. South American tribes drink a brew containing plants with DMT as part of shamanic rituals. 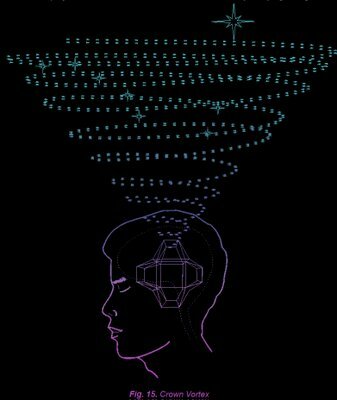 The ritual is used as a means of spiritual healing allegedly allowing users to communicate with inter-dimensional beings. My Experiences: N/A Yet but a report may be coming soon! Youtube has plenty of people giving their reports on the effects of DMT. Check it out if your interested.